By buying Flipkart, Walmart made Bansal an icon. By forcing him to quit, he was made an example of zero-tolerance corporate policy prevalent in US. Many Flipkart employees and other observers found Walmart's action confusing. The surprise resignation of a tech billionaire has pulled corporate India deeper into the #MeToo firestorm that's been sweeping through the American business community for more than a year. Walmart Inc. announced Tuesday that Flipkart co-founder Binny Bansal was leaving the company after an independent probe into allegations of sexual assault. While Bansal denies any wrongdoing and the investigators didn't find evidence of assault, the process revealed "lapses in judgment" that troubled the parent company's leadership. 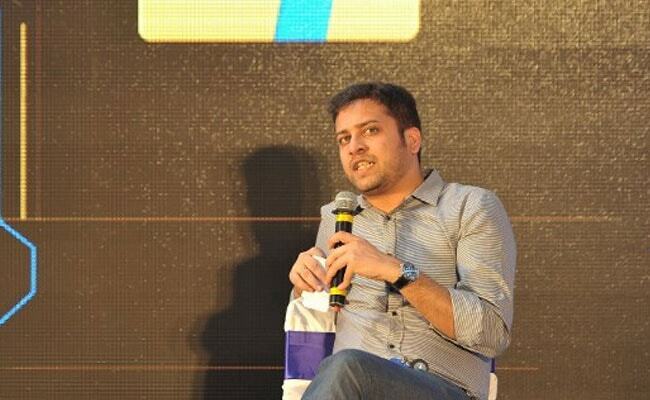 By buying Flipkart, Walmart made Bansal a billionaire and a national icon. By forcing his resignation, the company turned him into an example of the kind of zero-tolerance corporate policy that's come to be expected in the US, where the #MeToo movement has brought consequences for dozens of CEOs and senior leaders in business and finance. Many have been fired, resigned or otherwise sidelined. American companies have been called on to articulate and, in many cases, strengthen their sexual harassment policies. Investors have begun to consider sexual harassment risk when allocating capital. India's own #MeToo movement exploded this fall, and it's still gathering momentum. A handful of prominent men in entertainment and in government -- executives at local units of Dentsu Aegis and Fox Star Studios; a minister, MJ Akbar -- have faced professional consequences. But corporate leaders have remained largely untouched. Walmart's dismissal of Bansal is significant, said Zoe Kinias, a Singapore-based professor at INSEAD business school, because it sends a clear signal to the country's top executives: "There are consequences for these sort of actions." "I'm not sure that global businesses handle these situations perfectly but they have processes in place," she added. Many Flipkart employees and other observers found Walmart's action confusing. Bansal denied any sexual assault, and the company's internal investigation agreed. But the executives in Bentonville thought the angry accuser represented a business risk, and they wanted to know why Bansal hadn't disclosed it. At Flipkart, that information would have been considered personal. Culture clash is inevitable when one company buys another. But as multinational companies increasingly look to grow in India -- often by acquiring or buying stakes in local companies like Walmart did - it may put additional pressure on corporate India to strengthen its own policies and practices with respect to sexual harassment, in and outside of the office. Many Indian businesses will have a steep learning curve ahead, said Kannan Ramaswamy, a professor at Arizona State University's Thunderbird School of Global Management. He specializes in management strategy in India. "We don't have the mechanisms in place to really drive this problem out with the haste that it has to be done," he said. "The awareness is not there, the legal infrastructure is not supported and you're fighting against the weight of tradition and culture." A former Flipkart employee contacted Walmart executives in late July and accused Bansal of sexual assault, according to a person with knowledge of the matter, who requested anonymity because details aren't public. Investigators concluded Bansal and the woman had a consensual affair, the people said. Walmart completed its $16 billion purchase of a majority stake in the e-retailer in August, a transaction that lifted Bansal's net worth to $1 billion. "While the investigation did not find evidence to corroborate the complainant's assertions against Binny, it did reveal other lapses in judgment, particularly a lack of transparency, related to how Binny responded to the situation," Walmart said in a statement, without detailing the nature of the allegations. Walmart's reaction reflected not only the influence of #MeToo in the US but the company's own desire to shore up the squeaky-clean image it cultivates. So far, it's avoided public accusations of sexist behavior in its senior leadership, though store workers over the years have alleged harassment by line managers. But with few women in senior leadership roles and its treatment of rank-and-file workers, Walmart also has been a target of criticism for labour unions and activists over the years. Lately it's tried to burnish its reputation, investing millions to raise wages, expand benefits and create more opportunities for women and minorities, and hiring public-relations chiefs who have worked in the Clinton and George W. Bush presidential administrations. The company has also strengthened its ethics and compliance department in the wake of a globe-spanning investigation into allegations of corruption at the retail giant. For six years, US authorities have probed whether Walmart bribed government officials in countries including Mexico, India and China over the course of a decade in order to fast-track store openings.